We have a 25% interest in Brunei LNG Sendirian Berhad, which sells most of its LNG on long-term contracts to customers in Asia. We jointly develop and produce from the onshore Changbei tight-gas field under a PSC with China National Petroleum Corporation (CNPC). In 2016, we completed the Changbei I development programme under the PSC and subsequently handed over the production operatorship to CNPC. In December 2017, we took the final investment decision on the Changbei II Phase 1 project, and we expect the drilling programme and construction of facilities to be completed in 2021. Shell remains the operator of Changbei II. In 2018, we completed the handover of the Jinqiu block in Sichuan to CNPC. We have a 30% interest in the producing oil and gas field Panna/Mukta. We also have a 30% interest in the Mid Tapti and South Tapti fields, which ceased production in the first quarter of 2016. We decreased our interest in the publicly-listed Mahanagar Gas Limited from 32.5% to 10%, a natural gas distribution company in Mumbai. In December, we acquired Total’s 26% interest in the Hazira LNG and Port venture, increasing our interest from 74% to 100%. The Hazira LNG and Port venture, located in the state of Gujarat on the west coast, comprises two companies: Hazira LNG Pvt Ltd, which operates a regasification terminal; and Hazira Port Pvt Ltd, which manages a cargo port at Hazira. We have a 35% interest in the INPEX Masela Ltd joint venture which owns and operates the offshore Masela block. In April 2016, the joint venture received a notification from the Indonesian government authorities instructing it to re-propose a plan for the Abadi gas field based on an onshore LNG project. The partners are preparing a new Plan of Development for submission to the government of Indonesia in 2019. 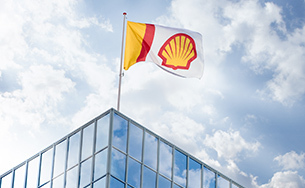 We operate a GTL plant, Shell MDS (Shell interest 72%), adjacent to the Malaysia LNG facilities. Using Shell technology, the plant converts gas into high-quality middle distillates, drilling fluids, waxes and specialty products. In 2018, we sold our 15% interest in Malaysia LNG Tiga Sdn Bhd to the Sarawak State Financial Secretary. We have a 30% interest in Oman LNG LLC, which mainly supplies Asian markets under long-term contracts. We also have an 11% interest in Qalhat LNG, which is part of the Oman LNG complex. We operate the Pearl GTL plant (Shell interest 100%) in Qatar under a development and PSC with the government. 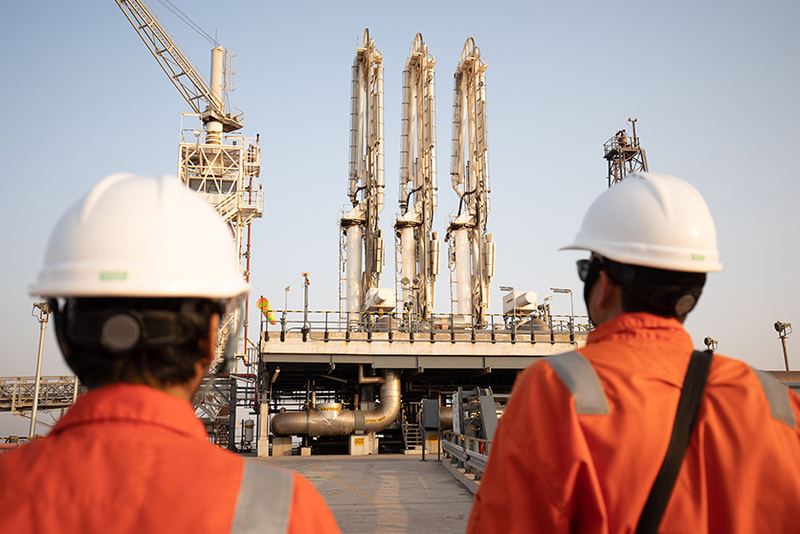 The fully-integrated facility has capacity for production, processing and transportation of 1.6 billion standard cubic feet per day (scf/d) of gas from Qatar’s North Field. 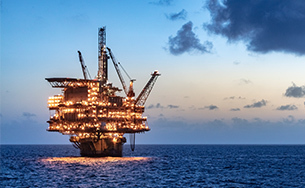 It has an installed capacity of about 140 thousand boe/d of high-quality liquid hydrocarbon products and 120 thousand boe/d of natural gas liquids (NGL) and ethane. We have a 30% interest in Qatargas 4, which comprises integrated facilities to produce about 1.4 billion scf/d of gas from Qatar’s North Field, an onshore gas-processing facility and one LNG train with a collective production capacity of 7.8 mtpa of LNG and 70 thousand boe/d of condensate and NGL. 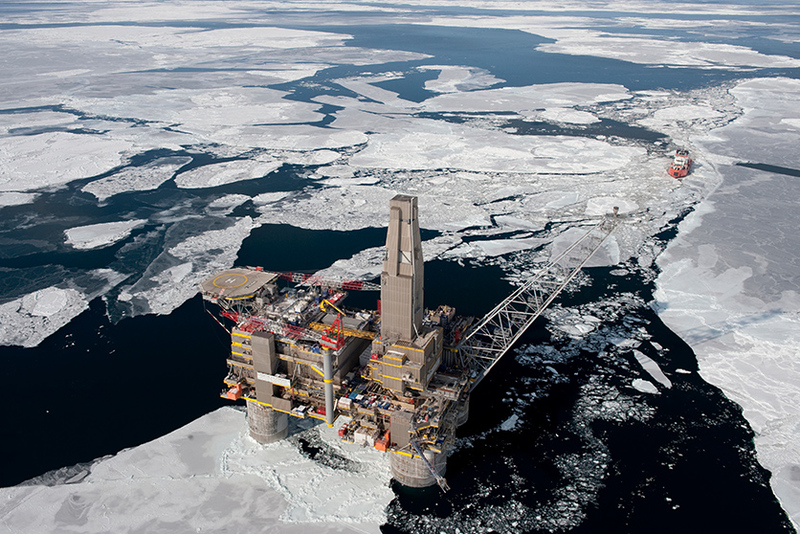 We have a 27.5% interest in Sakhalin-2, the joint venture with Gazprom, an integrated oil and gas project located in a subarctic environment. We have a 50% interest in Salym Petroleum Development N.V., the joint venture with GazpromNeft, developing the Salym fields in western Siberia, Khanty Mansiysk Autonomous District, where production was approximately 120 thousand boe/d in 2018. We have a 50% interest in Khanty-Mansiysk Petroleum Alliance VOF partnership with GazpromNeft. With effect from January 1, 2019, Salym and Khanty-Mansiysk Petroleum Alliance VOF partnership will be reported in the Upstream segment. Comparative information will not be adjusted. As a result of European Union and US sanctions prohibiting certain defined oil and gas activities in Russia, we suspended our support to Salym and Khanty-Mansiysk Petroleum Alliance VOF partnership in relation to shale oil activities in 2014. Salym and Khanty-Mansiysk Petroleum Alliance VOF partnership also suspended any shale oil related activities in 2014. 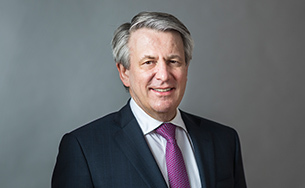 We have a 50% interest in a joint venture with KS Investments (the investment arm of Keppel Group) that holds a licence to supply LNG fuel for vessels in the Port of Singapore. We have aggregator licences to import LNG into Singapore. We also have interests in Myanmar.